Get fit but don’t like the boring gym style fitness classes? Lose a few kilos whilst having fun? 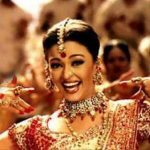 Brand new Bollywood dance course starts soon. Doesn’t matter if you’ve got 10 left feet, we’re prepared to take on the challenge. At Bollywood Australia we have all ages, both men and women so don’t be shy, come and give Bollywood a try! You don’t need anything special, a bottle of water and some comfy stretch clothing. No shoes required in the class. Our beautiful studio is air-conditioned and has natural bamboo timber flooring. Hope to see you on the dance floor for the new course.